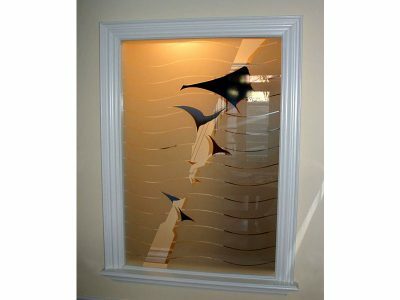 Sandblasting is a glass engraving technique, where in order to frost the glass, a fine grit is blasted at exposed areas of the glass. 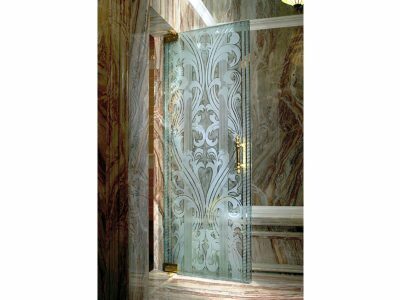 Sandblasting is used to create a frosted look for things such as glass doors, shower enclosures, windows, door lights, etc. 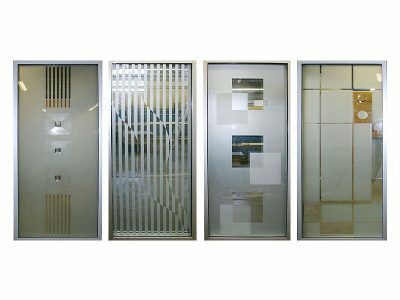 By using sandblasting, the glass becomes frosted and has less visibility, which is perfect for things such as doors or glass partitions because it creates privacy, while still keeping the light shining through for an inviting atmosphere.